Is it snowing in Passo Stelvio ?¡Gracias! A dusting of new snow. Temperatures will be below freezing (max -1°C el domingo por la mañana, min -4°C el lunes por la noche). Wind will be generally light. A moderate fall of snow, heaviest el viernes por la tarde. Temperatures will be below freezing (max -2°C el miércoles por la noche, min -6°C el viernes por la tarde). Wind will be generally light. 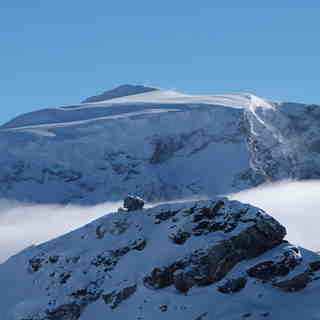 La tabla anterior muestra el pronóstico de tiempo para Passo Stelvio en la altitud específica de 3106 m. Nuestros modelos meteorológicos sofisticados permiten prever pronósticos para la cumbre, la mitad y la base de Passo Stelvio. Para aceder a los pronósticos de tiempo a otras alturas, pinche en la navegación en la parte superior de la tabla. Para una visión general, consulte el Mapa meteorológico de Italy. 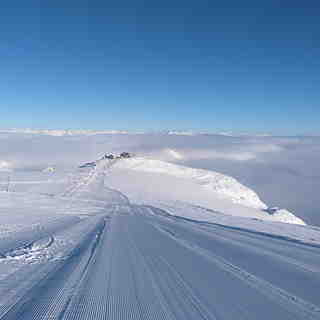 I drove up to the top of the pass (Passo Stelvio) in July 2009. My first time driving in Europe. My first time driving a left hand drive car. Definitely not my last. The drive up from Prato Allo Stelvio, around all the hairpins was exciting. The view from the top was awesome. The trip down to Bormio was beautiful with the sun beaming down into the valley. After a few drinks and a meal, I headed back up again and discovered the short cut into Switzerland. That was simply scary! Can't wait to head back some time - next time on a mountain bike for sure!